Have you ever found yourself thinking twice before slipping a treat into your child’s lunch box in the morning? Lately, I have. I find myself wondering if the Lunch Box Police letter is only a homemade cupcake away. In my 14 years of parenting, the only time I have ever received a note in my child’s lunch box, it was to advise me that an opportunistic magpie had nicked off with my daughter’s sandwich, so the canteen made her a new one. These days, however, the notes I keep reading about are sent to reprimand parents for their food choices. One mum dared send a piece of chocolate slice to day care; another risked sending cake to school. What were they thinking? What’s a ‘Red Food’ Anyway? My friend, Jessie, got proverbially rapped over the knuckles not once but twice by the daycare centre her kids attend. Her crimes? One was a low-sugar, homemade chocolate cake full of grated zucchini. Another, a small chocolate custard. The vanilla version was allowed but not the chocolate, because “SUGAR”. In fact, both custards had the same amount of sugar. But hey, why waste time checking facts like this when there are notes to be tucked into lunch boxes? Another friend got a naughty-note after baking sugar-free cupcakes. Yet another witnessed a teacher berate a child for the dire crime of bringing a muesli bar to school. One even got a stern talking to for packing “treat food” in the form of puffed corn. Puffed. Corn. Another school rewarded whatever the teacher deemed a healthy lunch with a sticker. This meant some kids came home disappointed and sad because, for whatever reason — maybe it was the puffed corn? — their lunch wasn’t sticker-worthy that day. Speaking of sad, a friend’s child had her cake taken off her at Kindy, because cake is evil. Was she grateful to be saved from the perils of cake or devastated and certain she was in trouble? I’ll let you guess. Schools and daycare centres are uniquely placed to help children form good habits early on and many have developed practices like “crunch and sip“, where children have a short break to eat fresh fruit or veggies and sip on water. There is also the humble tuckshop to consider; a healthy menu, perhaps designed by an accredited nutritionist or dietitian, would be a great start. Getting kids involved in food preparation and discussions around nutrition are also excellent ways to get the ball rolling. I support schools in encouraging a healthy lifestyle but I do think this heavy-handed approach to lunch box policing is taking that idea too far. Firstly, teachers and daycare staff are not necessarily any better qualified than parents to decide what is healthy and what isn’t. Secondly, as a parent, of course I want my kids to eat well. That means providing a healthy and varied diet and teaching them the difference between “sometimes” food and the really good stuff. It also means teaching them about moderation and letting them know that the occasional treat is okay. We want our children to have a good relationship with food. One that isn’t shrouded by fear, ignorance or shame. Thirdly, the idea of a staff member at a daycare centre or school removing an item from my child’s lunch box and telling them it isn’t healthy enough for them to eat sets my blood boiling. If we, as parents, deem it an acceptable treat, that should be enough. I don’t feel that it’s a school or daycare centre’s role to contradict a parent like that. 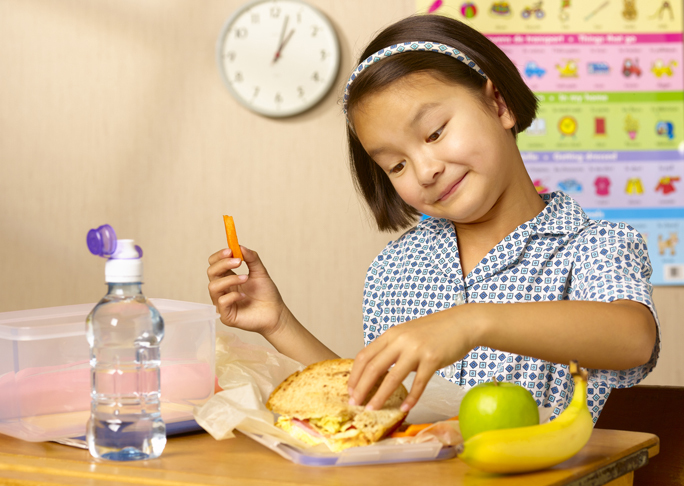 Monitoring lunch boxes, removing foods and sending notes home isn’t an effective way to educate parents about nutritious foods. All it does is shame parents and kids alike. Shame is not a useful tool in educating people. There are enough young people out there with issues around food; from fussy eaters to those with sensory issues and food-related anxiety. Having their lunches examined and found lacking may simply exacerbate those problems and make things harder for the kids and their parents. Educating parents is not really the school or day care centre’s job, but if that’s what they’re trying to do with these notes, I think there are better ways. Having a small resource library available to parents to learn about good nutrition would be an excellent start. The school newsletters and website could have helpful with suggestions, recipes and lunch box ideas, rather than prescriptive lists (excluding allergen-related bans, of course). If a teacher or carer has serious concerns about what a child is eating each day, perhaps they can approach the parent in person or by phone, not to reprimand or patronise them, but to see if there is anything they might need help with. A genuine, non-judgmental approach is bound to have a more positive and less resented effect than a condescending note in a lunch box. Have you had a note like this? How did it make you feel? 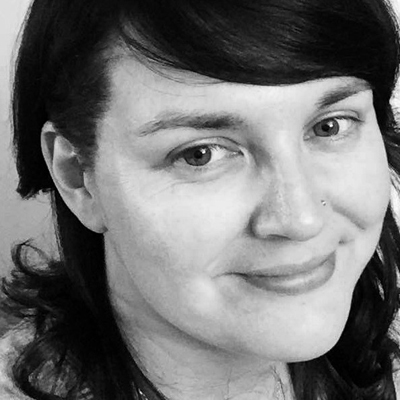 Amy is a mum of two and step-mum to two more who juggles shift-work and parenting while finding time to write at HandbagMafia, a blog that catalogues the thoughts and opinions of a feminist parent who isn't backwards in coming forwards. Follow Amy on her Blog, Facebook, Twitter and Instagram.